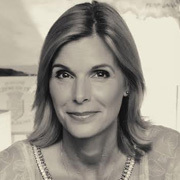 After hosting her own self-titled show for five years in the late 90s, Jude Dobson went on to set up production companies Homegrown Television and Raising Children Media, to accommodate her passion for making accessible, useful video content for parents. Dobson grew up in the Auckland suburb of Mangere Bridge. She went on to graduate as a registered nurse, and did time as a nurse, nanny, model and pharmaceutical representative. Her long television career began via a beauty contest: in 1988 she placed fourth in the Miss Universe New Zealand pageant (Lana Coc-Kroft was that year's winner). The show's producers asked her to stay in touch in case there were any new shows coming up that she might like to audition for. The following year she got her first television gig, joining Steve Parr on primetime quiz show Sale of the Century, under the name Judith Kirk. The country's first five night a week quiz show, it ran for over 1000 episodes. Although the format gave her limited chances to make an impression, it was clear she was a natural for television. The show certainly gave her experience — five episodes were shot per day, and the results played for 48 weeks each year. By 1993 she was co-presenting Alive and Kicking with singer Rikki Morris, the first of a long series of lifestyle shows that would include NZ Living and Open Home. At the start of 1997 Dobson was given the slot directly before the primetime news, as presenter of 5.30 with Jude. Reluctant to go back to fulltime work so soon after having her first child, Dobson won agreement to squeeze her time on the show into two and a half days per week. After three seasons, the five nights a week magazine show morphed into 5 O'Clock with Jude Dobson. Altogether she hosted 989 episodes. After five years presenting Jude, she pitched to TVNZ the idea of Homegrown, a series for parents. Given the OK to make the series herself, she set up production company Homegrown Television to do so. Dobson was presenter for three years, and called in 5.30 with Jude veteran Jan McIntosh to help her produce it. Dobson was now in a position to use her profile and broadcasting experience to make shows of her own: "good quality, credible shows around parenting, as getting this 'right' is of huge significance to not only the child and parent themselves, but our society as a whole". Keen to make complex information accessible to the everyday person, she conducted a range of interviews with experts for hour-long documentary A Cot Death Inquiry (2005). At that point cot death was killing one New Zealand baby per week. The following year parenting guide Nought to Five kicked off the first of two seasons. Wanting to avoid a good kid-goes-bad approach, Dobson aimed "to show the everyday stuff — why it happens and what you can do about it, before things snowball and get on top of you". Her next concept — audiovisual parenting tool-kit Raising Children — was inspired partly by a similar project in Australia, and made with input from philanthropists and NGOs. New company Raising Children Media was set up exclusively to make this venture. The first phase of Raising Children covered varied aspects of parenting during the first three years of childhood. "It struck me that it seemed really odd you got a 'how best to operate' DVD with your new washing machine," said Dobson, "but there was no really good video material available for parenthood." The mother of three joked that developing and getting approval for the educational resource felt "a bit like bringing a whole new being into the world and then having to nurture it". Seeing a need for shorter length content, that was available for longer periods, Dobson cut the episodes into bite-sized chunks focused on specific topics. They were collected on an age-indexed DVD which was offered free to parents via their Plunket or Well Child/Tamaraiki Ora nurse. In 2015 the Raising Children content was overhauled and extended to cover the primary years, after Dobson pulled together a group of supporters from government, NGO, corporate and philanthropic organisations. Dobson shoulder tapped 20 Kiwi parents for interviews — from presenters (Miriama Kamo) to sports people (Bernice Mene) — for the series. Aside from screenings on demand and on defunct channel Heartland, Dobson also developed a website and free app; DVDs were also circulated free to parents at infant and Well Child health checks for three-year-olds. In 2019 Dobson competed on Dancing with the Stars. Her 'Family Matters' column has appeared in The NZ Herald. She has also written an advice column in The New Zealand Woman’s Weekly and takes on varied contract writing gigs. Aside from her first love of taking good content from idea to reality, she also creates commercial and charitable projects, including event managing school fundraisers involving as many as 1000 guests.